20th Century FoxJames Cameron is releasing three more Avatar films. 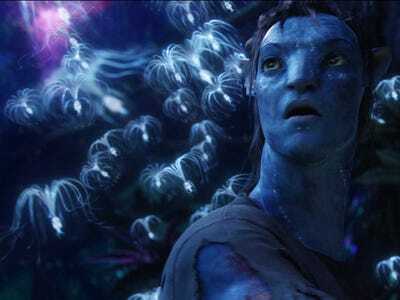 James Cameron’s “Avatar” became the highest-grossing movie ever making over $US2.7 billion after it came out in 2009. Three sequels are set for release consecutively in 2016, 2017, and 2018, and, apparently, they will be worth the long wait. In a new interview with Empire Magazine, Cameron wouldn’t say much about the films, but he did say one thing. That’s some high praise, but when you’ve made two of the highest-grossing movies ever at the box office, who can argue with that? So far, we know Sam Worthington and Zoe Saldana will reprise their roles in all three sequels. Stephen Lang, who played the villain, and was killed off in the 2009 film, will also return. Sigourney Weaver will also return in all three movies in a new role. The films are expected to be in theatres December 2016, 2017, and 2018.